This now internationally-recognized bakeshop was started in 1980 by 21-year-old Kathleen King in the Hamptons. Kathleen’s baking empire has grown and expanded over the years, and year after year is voted the Hampton’s favorite bakery. She considers “the bakeshop way,” a commitment to nothing but the highest quality baking, the secret to Tate’s Bakeshop’s ever-growing success. A delightful South Hampton bakeshop, dedicated to crafting the finest baked goods in the world. 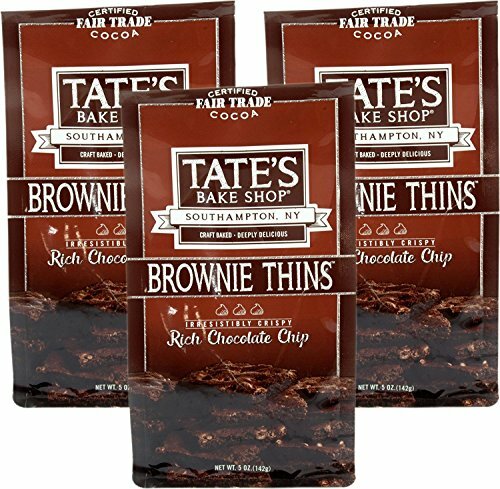 Tate’s Bakeshop offers five flavors of gourmet brownies and bars which can be purchased in sets of individual flavors or an assortment pack. 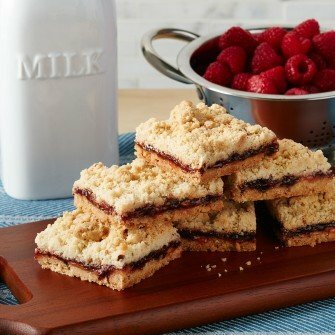 These five classic flavors include a traditional brownie, blondie, raspberry bars, crumb cake, pecan and walnut. Good news for the gluten-intolerant! Tate’s also carries gluten-free versions of their classic brownie and their blondie. These delectable brownies are available for purchase in sets of six, packaged in the bakeshop’s signature green boxes. Tate’s also has a box of six assorted squares available, which includes: (two) raspberry bars, (two) classic brownies and (two) walnut brownies. 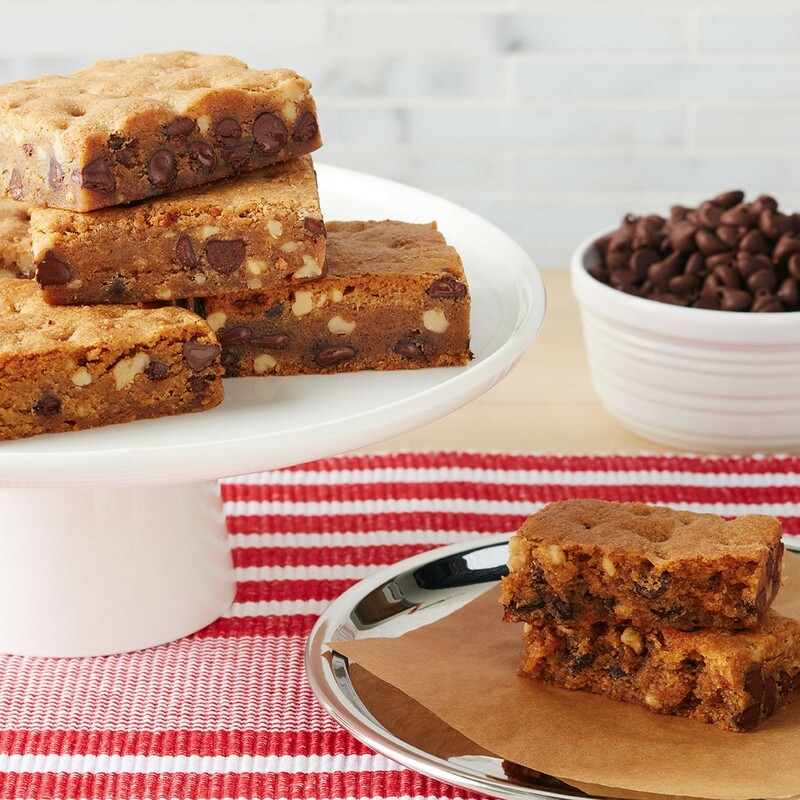 If you want to sample more of the famous bakeshop’s delectable goodies, they offer a cookie and brownie bar assortment, which contains (two) blondies, (two) classic brownies, (two) raspberry bars, and a variety of their ever-popular cookies. They unfortunately do not offer their brownies for individual sale at this time, and also do not offer their brownies for purchase in quantities larger than six. We also would like to see more flavor offerings, as well as some one-of-a-kind varieties. 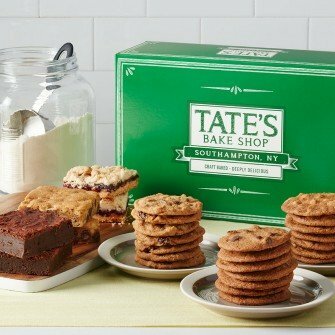 All of Tate’s delightful baked goods are crafted from the highest-quality, natural ingredients. The base of their brownies is pure dark chocolate and AA butter. No preservatives or additives are used—ever. Their wholesome goodies are also certified non-GMO, never using any ingredients produced with biotechnology. 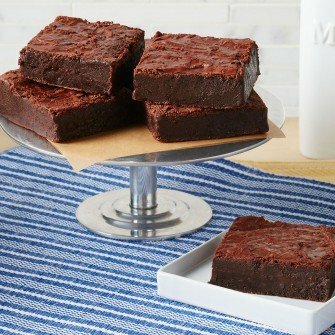 As the bakery expands into gluten-free varieties, they bake all of these products in a separate, completely gluten-free bakery, with almond flour as a base for the brownies. Tate’s does not offer any seasonal variations of their delicious brownies; however they do have two fun Halloween gift sets available for purchase at this time, that are beautifully-packaged in pumpkin-colored baskets with some seasonal chocolates and a pumpkin tea loaf. 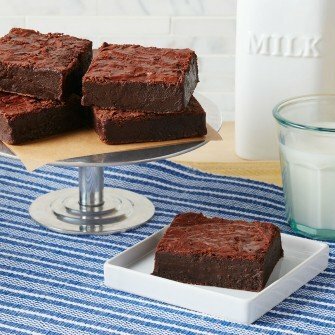 This bakeshops brownies cover the classics, which will please the traditional brownie lover, but we wish they incorporated some more unique and original flavor options as well. Although Tate’s has an expanding selection of wonderful gluten-free goodies, they do not offer vegan, sugar-free or Kosher options at this time. Tate’s does not offer a brownie of the month club at this time. We hope that as they continue growing, this option will become available. 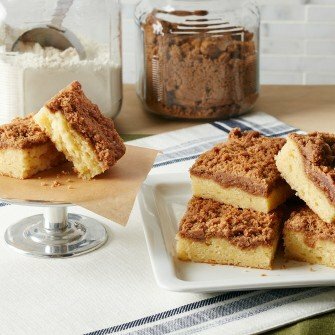 This bakeshop keeps the purchasing process simple, with all of their sets of six available for $26.99, which is approximately $4.50 per bar. If you are shopping for something more indulgent, the cookie and brownie bar tower discussed above is priced at $49.99, and has something for everyone. They do not sell their brownies individually at this time, and do not have their brownies available for purchase in larger quantities. Although these elegantly-packaged gift sets are competitively priced, we would like to see more purchasing options at every price point. Tate’s has a 100% satisfaction guarantee, and will work to fix the problem with any purchase that does not meet your expectations. Before shipping, all of their gourmet brownies are individually wrapped, placed into their signature box and then bubble wrapped and packaged for shipping to prevent any damage. In the Summer, this bakery also incorporates ice packs to eliminate the risk of melting. Although they do not claim to bake and ship same day, they are constantly baking fresh goods to replenish their stocks, and all treats will arrive fresh and ready-to-enjoy. This bakeshop offers a variety of shipping options to ensure your treats arrive exactly when you need them. Rates range from $6.95 to 20 percent of order total for ground, $16.95 to 25 percent of total for three-day, $19.95 to 30 percent of total for two-day and $29.95 to 45 percent of total for overnight. 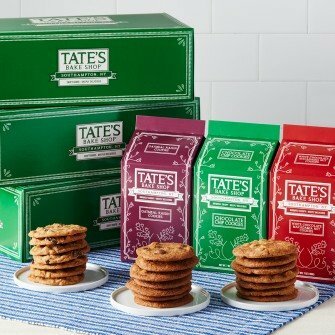 The six-piece assortments discussed previously are all beautifully packaged into Tate’s Bakeshop’s signature, green boxes, and make lovely gift options. Tate’s also can include a gift note with any purchase to make it extra special. Although they do not have any brownie-only gift sets for specific occasions, they do offer seasonal gift baskets and sets, like their two current Halloween baskets which include an assortment of goodies and treats from their bakeshop packaged into a fun, seasonal basket. They also offer beautifully-curated gift baskets and towers, containing an assortment of their their artisan goodies for just about every occasion, with themes including: Get Well, Congratulations, Birthday and more. Unfortunately, none of these gift sets are available for brownie-only purchases. Tate’s does not offer a corporate or business gifting program at this time. Ready to place an order? Orders can be placed securely on Tate’s easy-to-use website, or with their toll-free number, Monday through Saturday between 9:00 a.m. and 5:00 p.m. Questions and concerns for their wonderful customer service team can be submitted via email or on their toll-free hotline. They do not have a live chat option. As mentioned before, Tate’s has a 100% satisfaction guarantee, and their helpful customer service representatives will help you resolve any issues. The bakeshop’s website does not offer a blog, recipes or other fun, interactive features at this time. 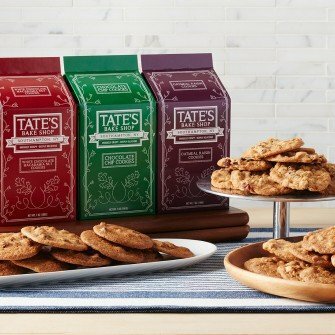 With their simple, traditional varieties and timeless, elegant packaging, Tate’s Bakeshop is perfect for lovers of the classics. This bakeshops lovely gift baskets, towers and brownie boxes also make this an ideal destination for those on the hunt for the perfect gift. Their ever-growing selection of gluten-free varieties also makes this bakeshop a wonderful choice for those who love sweets, but cannot eat gluten. We love the simplicity of this artisan bakeshop. They stick to the classics, and offer beautifully-packaged gift options. We were happy to see their dedication to using only the finest, GMO-free ingredients, and are excited to see the gluten-free varieties that they will develop in the future. Tate’s offers a great selection of classic brownie options, but we wish they had some one-of-a-kind formulations for those of us that want to try something new. We also wish they had more purchasing options, as the sets of six are limiting for those that wish to purchase smaller or larger quantities. We also wish that some of their special-occasion gift options were brownie-only sets, instead of assortments of all of their treats. Tate’s Bakeshop is the perfect destination for elegant, gourmet baked goods and gifts. We are so happy that this South Hampton-treasure is now available for us all to try. Their high-quality, delicious baked goods have only improved with time, and we now see why their award-winning baked goods are so popular.